Chinese shares have taken a major plunge in the past few weeks, including those of Wanda Cinema Line Co., which in response promised to expand and acquire aggressively in a move to defend its share price. Yet questions are now being raised about one Wanda’s most recent acquisitions in China, with some financial papers asking whether ‘insider trading’ took place. Sichuan Online even went so far as to proclaim: “Media: Mrs. Wang Jianlin Lin Ning suspected of insider trading,” with Mrs. Wang being the wife of Wanda Cinema Chairman Wang Jianlin. 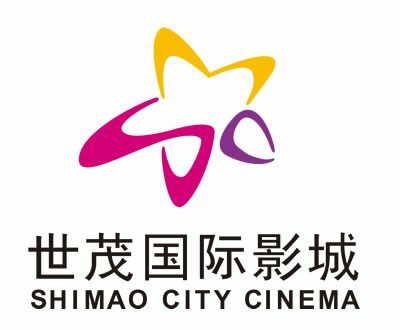 Red Pulse cited analysts saying that “this major asset reorganization is a signal of deeper cooperation between Wanda Cinema and Shimao Cinema, which is owned by developer Shanghai Shimao.” The transaction also included the participation from the Beijing-based ‘culture industry group company’, Beijing Wanda Cultural Industry Group Co. According to statistics, 20 days before the suspension, Wanda Cinema shares rose from 118 yuan [USD $19] to 244.89 yuan [USD $39.43], an increase of 107.53 percent over the same period the SME composite index rose 16.01%, CITIC media index rose 43.02 percent. Excluding market factors, the cumulative increase of 91.52%, after excluding factors related to the industry sector of the cumulative increase of 64.51%, higher than the cumulative drop of more than 20% up standards. Wanda denied that this was related to insider trading and pointed instead to the booming domestic box office market, although the article notes that Ms. Wang Jianlin (wife of Wanda Cinemas’ Chairman) bought shares on 10 February and 17 March, which were then sold on 8 April. In addition, CMM’s Executive Director Zhang Long bought and the sold shares between 15 April and 8 May and CMM’s supervisors Ma Dapeng also bought and sold shares between 24 April and 16 July. XinHua News Finance points out that Wanda Cinema paid a ‘high premium’ to acquire ‘inefficient assets’ and then proceeds to lay out the figures in extensive details. These are not XinHua’s views alone. In the regulatory filing document, Wanda Cinema admitted that there was a risk of underlying asset restructuring overvaluation, not least due to stock price volatility or suspension of trade in stocks due to suspicion of insider trading. Wanda Cinemas is paying CNY ¥1.2 billion (USD $193 million) for CMM, but with revenue of just CNY ¥39.8 million (USD $6.4 million), this puts the valuation at 2912.74% or 29 times multiple. For the Shimao companies, with revenue of CNY ¥95.6 million (USD $15.4) this puts the valuation 945.94% or a 9.5 times multiple. Yet even as such steep valuations, there are more questions when one breaks down the figures historically. Wanda Cinema, said that the higher valuation than the carrying amount of net capital gains, and reminded investors concerned about this risk. However, “Economic Information Daily” reporters found that reading the relevant notice from net profit indicators, the subject of the proposed acquisition of the company’s performance is not satisfactory. In addition, as of March 31, 2015, 1,722,783,400 yuan [USD $277 million] before the company’s pro forma total debt will increase to 2,705,162,700 yuan [USD $435 million] transactions. Meanwhile, the pro forma company’s current ratio has declined compared with the previous trading, debt and ability to resist risks has also dropped to a certain extent. There is a strong risk that there is limited profit growth potential following the merger, at least in the short term. Only in the long term is it believed that the merger will result in benefits for the listed company. Consider also that compared to the high-profile Wanda Cinema, Shimao is mostly present in tier-two and -three cities. Shimao’s share of China’s box office was a paltry 0.54% in 2013, 0.63% in 2014 and sinking to 0.59% in Q1 of 2015, with CNY ¥117 million (USD $18.8 million), CNY ¥186 million (29.95 million)and CNY ¥57 million (9.18 million) respectively. Journalists going over the 2014 Annual Report found that revenue was CNY ¥223 million (USD $35.91), an increase of 57.7% on the previous year, but operating costs increased 55.98% and profit rose by just 0.84%. There were also significant long-term pre-paid expenses, with 2014 total amortization expenses of CNY ¥42.25 million (USD $6.8 million), of which CNY ¥29.61 million (USD $4.76 million) was amortization for renovated theaters, accounting for more than 70%. By the end of the first quarter, the company book balance of 2.936 billion yuan [USD $472.8 million] currency funds, net of early market to raise funds, matching funds raised in 2015 and the planned acquisition of Australian cinema operator Hoyts Group 100% equity theater construction project required more than 2.2 billion yuan [USD $354.3 million] cash, the balance is a negative (-5.14 million) [USD $827.7 million]. So while the wisdom of the acquisition of a small exhibitor like Shimao at a high premium will only be apparent in years to come, questions about insider trading linger over the CMM deal, with two of the directors buying Wanda shares in the run-up to the deal. A Wanda document issued on 23 June that “explained Wanda Cinema Line Corporation security measures on the major asset purchase matters taken and confidentiality regime” reveals that a confidentiality agreement was signed between the two parties in late April this year. Insiders, who asked not to be named, claimed one of the responsible persons counter party Zhang Long, who in late April at the latest restructuring news had been informed that, as of this major asset restructuring before it takes very long to finalize the draft cooperation time to negotiate, the actual time may be sooner. This is the same CMM Executive Director who bought and sold Wanda Cinema shares between 15 April and 8 May. The financial journalists who uncovered this emailed Wanda Cinemas with questions about these “insider trading” allegations, but had not received any reply at the time of publication. They will, however, continue to monitor the deal. Perhaps the biggest mystery here is why Lin Ning – wife of Wanda Chairman Wang Jianlin, the richest man in Mainland China – would at the very least risk creating the perception of insider trading for a profit of a mere CNY ¥700,000 (USD $112,716). Trading in Wanda Cinema shares is currently suspended, along with many other major shares, to prevent a further slide in the stock market. However, this is expected to be lifted in less than ten days.